A listening experience comparable to what’s offered only through very high-end home audio systems is now available in the all-new Lincoln MKX midsize utility. Revel, HARMAN International’s most exclusive loudspeaker brand, worked with Lincoln engineers and designers to craft a 13-speaker Revel audio system and a 19-speaker Revel Ultima™ system for the all-new Lincoln MKX. Since 1996, Revel has served its audiophile customer base with exceptional, award-winning home-audio equipment. Emphasising science-based speaker architecture and acoustic precision, Revel systems are designed to re-create a musical performance as precisely and purely as it was recorded. 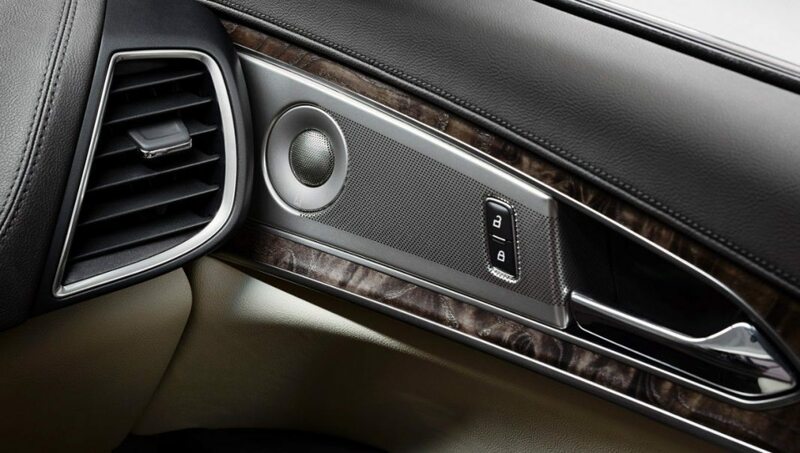 Lincoln and Revel designers worked closely to establish a speaker grille design that complements luxurious Lincoln interiors while passing rigorous acoustical testing for optimal performance. Vehicles equipped with a Revel Ultima sound system will include upgraded aluminium speaker grilles for an elegant experience. The exterior of the MKX luxury midsize SUV embodies elegance in motion, complemented by a dramatic design with a modern, contemporary silhouette and well-balanced proportions. The interior design blends functionality with fluid, flowing forms to inspire a sense of luxurious adventure. Powered by the 2.7-litre twin-turbocharged Ti-VCT EcoBoost V6, the MKX also comes with a line-up of innovative features including a revolutionary 360 degree camera.